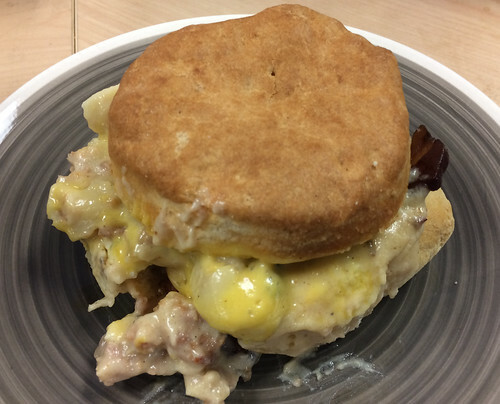 The simple ingredients of maple bacon, egg and cheddar cheese on one of Mason Dixie’s delicious biscuits is victory enough, but when you add the gravy, with its giant chunks of sausage, you win even more. Mason Dixie is also opening a brick and mortar location in the NE with a drive-thru, that will serve fried chicken, biscuits and other sides. Opening on April 15th at 2301 Bladensburg Road NE!